The Tasmanian Devil Sarcophilus harrisii is Australia’s largest carnivorous marsupial and is one of the endangered animals here at the park. BWP are proud to be involved in the very important conservation of the Tasmanian Devil. 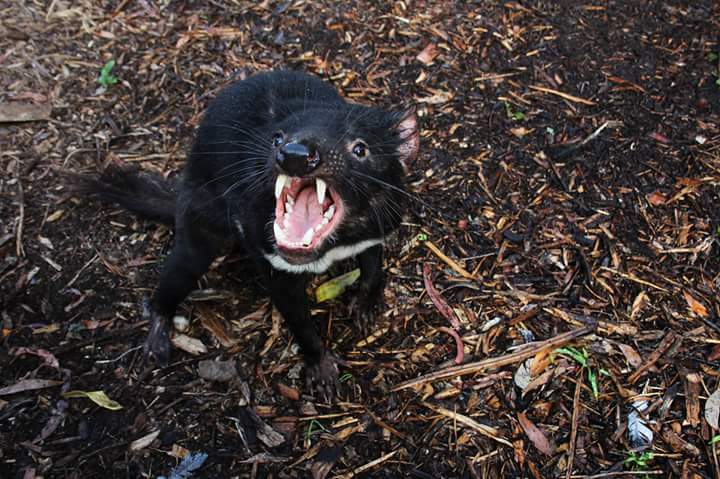 The Tasmanian Devil Insurance Program has been implemented to help find a cure and to ensure there is an “insurance population” in captivity in the event that these unique carnivorous marsupials become extinct. 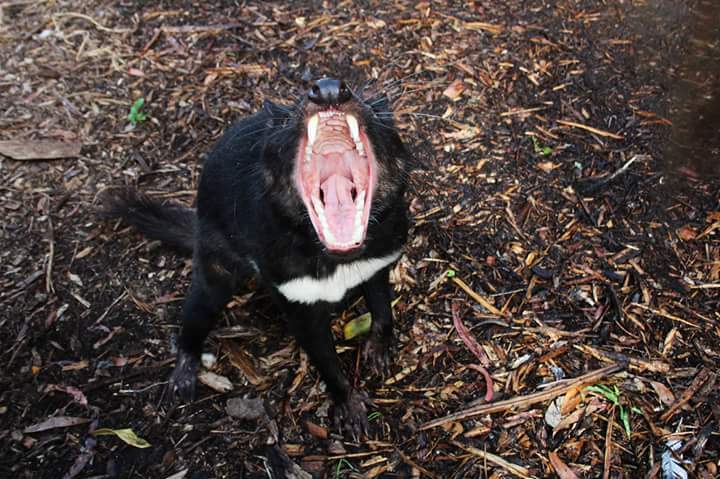 Ballarat Wildlife Park were the first privately owned Wildlife Park on the mainland to breed Tasmanian Devils. Tasmanian Devils status is critically endangered in the wild due to a contagious cancer that has affected up to 90% of the wild population. This cancer is referred to as Devil Facial Tumour Disease DFTD and there is no known cure. The tumour usually starts off as a small pimple like lesion around the Devils mouth and can eventually take over the face. The Devil will usually die within 3 months, if not from the cancer from starvation by not being able to eat due to the horrendous tumour covering the face. Often these wild Devils are euthanized to not only put them out of their suffering but to also ensure the cancer is not transmitted to other Devils. One thing that is known about this cancer is that it is transmitted through the saliva of a Devil, so if during feeding times at a carcass a contaminated Devil bites another during feeding the cancer is spread. Wild Devils can also get the cancer if they scavenge the body of a diseased Devil. 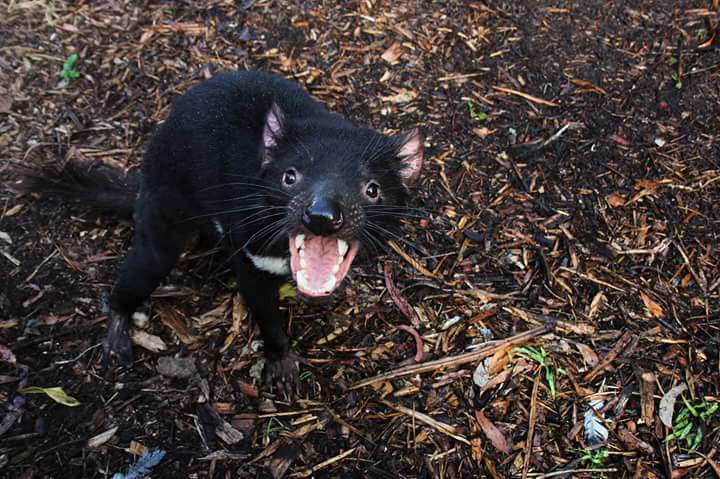 Ballarat Wildlife Park is part of this breeding program to help ensure that the Tasmanian Devil never becomes extinct and each year we are involved in the breeding recommendations and have been successful with many joey births. Other threats to the existence of the Tasmanian Devil is habitat loss due to deforestation and development, predation from feral animals, persecution by farmers and landholders and being hit by cars ,especially whilst scavenging dead animals already road kill victims. If you would like to be involved in helping to save this amazing marsupial please enquire about our sponsorship programs.